The unbundling of Eskom and the recently concluded contracts with Independent Power Producers (IPPs) are set to dominate talks at the three day Central Executive Committee (CEC) meeting of the Congress of South African Trade Unions (Cosatu) in Johannesburg. This is the labour federation’s first CEC for the year and is called to discuss issues affecting workers. Cosatu claims the implementation of the Independent Power Producers’ contracts will lead to more than 40 000 job losses in coal mines and other secondary industries. Cosatu General Secretary Bheki Ntshalintshali says renewable energy production should be the responsibility of the state. He says if the IPPs are allowed to be the source of energy – poor people will be the worst affected. 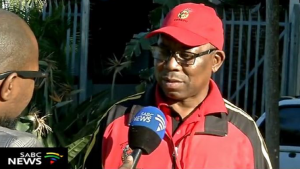 The post Eskom’s unbundling to dominate Cosatu’s CEC appeared first on SABC News – Breaking news, special reports, world, business, sport coverage of all South African current events. Africa's news leader..